I have two reasons for casting this debate as I have. First, the claims of both Muhammad and Paul to have experienced supernatural revelation which led to their life of proselytizing others to their religious views makes them natural dialogue partners. Second, while both Christians and Muslims agree that Jesus was a great person who brought a message and authority from God, Muslims reject the authority of Paul, while Christians reject the authority of Muhammad. Thus these would seem again to be a natural match. The views expressed by Paul and Muhammad herein represent both specific claims and arguments each man made while alive and statements of modern religious scholarship on both sides. Naturally, Paul and Muhammad never got to discuss these topics with each other, and thus I’ve crafted a fictional setting for this debate to pose the ultimate “what if?” My hope is that God will use this small contribution as a tool for creating productive and friendly dialogue on this issue between Muslims and Christians. I have included the following excerpts from the book to wet your appetite for making the worth while investment in purchasing the book for further study. Moderator: Now, I know you can provide several examples where you believe the Qur’an makes accurate scientific statements that you could not have known when you received the revelation. I’m also aware that Paul could present several similar arguments for the truth of the Bible. So I’m fine with us not broaching that subject today and leaving that for another debate. I think it will take us too far off the subject of Jesus’s resurrection. So, Muhammad, I appreciate the fact that you did not focus on these in your rebuttal. Paul, let me come back to you for a moment. Muhammad pointed out how the earliest Gospel, Mark, notes Pilate’s amazement when he learns that Jesus had died so soon. People were known to survive crucifixion for as long as a few days. However, Jesus, whom you believe is the Son of God, died within six hours of being placed on the cross. This does seem to support the Muslim suspicion that he may have been removed while alive. And you must admit that the Gospels report that Pilate did not want to kill Jesus. So maybe he found a way to let him be removed early. Can you explain that? 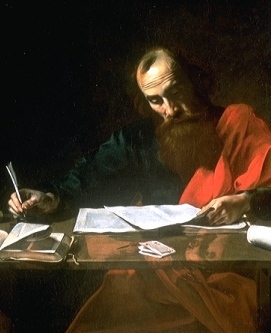 Paul: Well, again, you are talking about the Gospels. What do they have to do with the much earlier data I provided? With the exception of James’s view of his half brother Jesus prior to his resurrection, I did not appeal to the Gospels a single time in my argument for Jesus’s resurrection. I am not attempting to dodge the issue. I will answer it. I am merely pointing out that it does not matter in the scheme of things in this debate. Muhammad: You are surely mistaken, Paul. It does matter. If the Gospels are truthful here, they may provide clues regarding what really happened to Jesus. It is important because you do not report these things in your writings. Paul: That is correct. I do not report them because I was not writing a biography of Jesus. My letters concern issues in the various churches of my day. But what I say regarding my experience of Jesus and what the disciples were claiming about what happened to Jesus after his crucifixion are still very early and multiply-attested. I would like to note, however, that your objections involving Pilate and the centurion’s confession are a bit confusing to me. You have spent a lot of effort casting doubt on the reliability of the Gospels in this debate. You claimed that their authors were biased, that the real authors’ identities are unknown, that they contradict one another, that there are contradictions even within the same Gospel, and that many of the stories were not meant to be understood literally. The conclusion asserted by Muhammad is that we cannot trust what the Gospels are saying. Then you immediately appeal to reports in those same Gospels as evidence against Jesus’s resurrection. In other words, you argue that the Gospels are unreliable, then appeal to reports in them as though they are accurate as evidence against Jesus’s death and resurrection. This is “cafeteria criticism,” where you take what looks good to your taste and leave what does not. It is historiographical hypocrisy. The death of Jesus is much more strongly attested than Pilate’s amazement and the centurion’s confession. So if you are going to reject Jesus’s death, all the more you should reject reports by the same Gospels of Pilate’s amazement and the centurion’s confession. On the other hand, if you are going to accept the latter, then all the more you should accept the former. With that said, let me speak specifically regarding Pilate’s amazement and his desire to preserve Jesus’s life. From a medical viewpoint, extreme scourging may have brought on hypovolemic shock and expedited his death. That Jesus was unable to carry his cross all the way may indicate that his scourging was especially brutal. Another explanation is that from the standpoint of the Gospels, Jesus had no medical cause of death. He gave up his life willingly when he had atoned for the sins of the world. He said, “The reason my Father loves me is that I lay down my life— only to take it up again. No one takes it from me, but I lay it down of my own accord. I have authority to lay it down and authority to take it up again.” When we consider the strong possibility that Jesus had been treated more brutally than normal crucifixion victims and that if he was the divine Son of God he had the power to give up his human life when he saw fit, Pilate’s amazement should be no more than our amusement. Moreover, although Pilate may initially have had an interest in releasing Jesus, once Jesus was accused of being a threat to Caesar, Pilate would have abandoned any such interest out of a desire for self-preservation. Remember that in the midst of Jesus’s trial the Jewish leaders had said, “If you release Jesus, you are not Caesar’s friend; everyone who makes himself out to be a king opposes Caesar.” It is helpful to note that Pilate had a Roman protector named Sejanus who was executed by the Emperor Tiberius in AD 31 for being suspected of plotting against him. If Jesus was crucified in AD 33 as many hold, Pilate would have been in a weak position, and Tiberius would have had a close eye on him. The last thing he would have wanted to do was anything that might have been perceived as protecting someone claiming to be a king against Caesar. 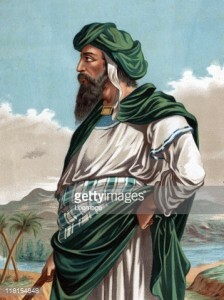 Muhammad: Then there’s the centurion who said, “Truly this man was the Son of God!”[ 4] No one would make this statement unless he was a Christian, and wouldn’t a Christian refuse to crucify his Lord? He would have done everything in his power to see that Jesus did not die on that cross! Moderator: Muhammad, I have a question I’d like to ask you. I find the Muslim view of what happened to Jesus to be very fascinating. God certainly has the power to substitute someone for Jesus by making that person identical to him in appearance. He certainly has the power to make Jesus appear to have died on the cross, fooling others who removed him and buried him. However, I think Paul raised a good point when he said that if no good reasons exist for trusting the Qur’an on this matter, the historian must conclude that Jesus was crucified and died as a result. Paul questioned you on the Qur’an by arguing that the founder of Mormonism, Joseph Smith, claimed that an angel appeared to him too. Paul asked why we should believe your testimony while rejecting Smith’s. You replied that Smith could have seen evil jinn who deceived him. Well, okay, that’s possible. But what about Paul’s second challenge to the Qur’an? He challenged the test presented in it for knowing if it is from Allah. He claimed that it fails its own test when sura 1 is compared with Psalm 19. To that you replied that Paul is a blasphemer and you don’t care what he thinks. I don’t find that sufficient. What if Paul had merely replied that he didn’t care what I thought when I challenged him on what he wrote in Romans? So I would like to hear you say more on this matter. Muhammad: Muslims never claim that translations of the Qur’an are sufficient. In order to appreciate the Qur’an fully, one must read it in Arabic. Paul, do you read Arabic? Paul: No. Just Hebrew, Aramaic, Greek, and Latin. Well, I also recently learned English for this debate, as did you! Muhammad: Unless you can read Arabic, you cannot make such a comparison. The Qur’an has a beauty when it is read in Arabic, a certain rhythm and sound that cannot be reproduced when attempting to write a passage on Allah. Thus your comparison of sura 1 with Psalm 19 is insufficient. Paul: Do you read Hebrew? Paul: Then how can you make such a claim? The Psalms are a collection of songs which when sung in Hebrew have a beautiful rhythm and sound. In my opinion, the Hebrew language has a much nicer sound to it than Arabic. Plus, as I noted, Psalm 19 is much fuller in meaning than the first sura. Muhammad: I did not create the test. You speak as though I wrote the Qur’an. I did not write it. I could not read or write then. Allah is the author of the Qur’an, and he is the one who made the test. I believe Allah. Since you do not speak or read Arabic, you are not in a position to make the judgment that Psalm 19 is superior to sura 1. Paul: I have a problem believing that the all-powerful God would give a test that only Arabic-reading people can take. How many of today’s Muslims can read Arabic? Twenty percent? This is another reason why I do not believe it is a good test.